Home Sweet Hensley: Pharisee, Pharisee, where are you? Pharisee, Pharisee, where are you? Who did Jesus have the most trouble with while He was walking planet Earth? Who did Jesus save His harshest criticisms for? That's right, the Pharisees. If you will go back and read the Gospels, you will quickly discover the Pharisees were Jesus' greatest hindrance. 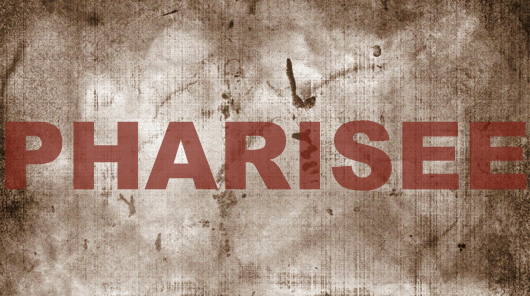 Who were the Pharisees? To put it plainly, they were the religious fanatics of that day. They were the religious elite of Judaism. They were the ones who were constantly telling others how pitiful they were, but at the same time making sure others knew that they themselves were better. In other words, they were hypocrites engulfed with pride. They would point out everyone else's sins but never their own. Those are the people Jesus had the harshest words for. Which brings me to 2017. Have you noticed how quick we are to point out other people's sins? Have you notice how the only sins most "Christians" ever talk about are the sins they don't commit? When is the last time you heard a preacher talk about gluttony? When was the last time you heard the long-tongued gossip of a church rail on gossip? NEVER! You never hear that because they do that. I understand sin is bad, but that means ALL sin is bad. That means your sin is bad. That means my sin is bad. There is no sin that is excused. It baffles my mind how so often churches and church goers bash everyone around them but not themselves. I have enough sin myself to worry about much less trying to point out someone else's. I understand that the church has to take a stand against sin, but it should take a stand against all sin. That would include: pride, gluttony, gossip, etc... All sin includes our own sin. I should hate the sins I commit more than I do the sins other people commit. My sin separates me from God not someone else's. I end this rant with one plea... go read Matthew 23. It will shine the light on this subject perfectly. Perfectly said Britt, sin is sin. I have enough of my own to worry about other people's. Have a great day my friend! Absolutely!!! I would rather err on the side of love than hate!